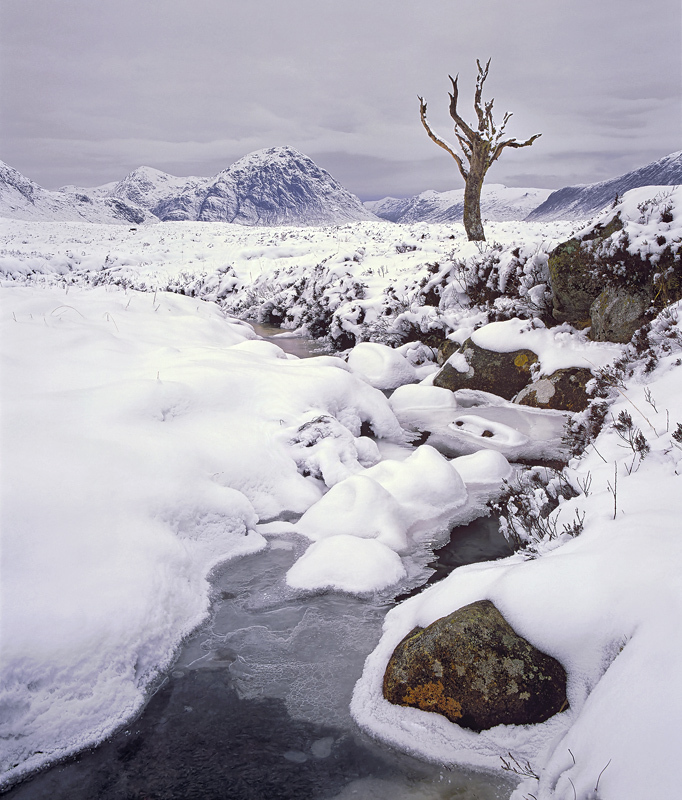 This iconic tree on Rannoch Moor has sadly succumbed to the Autumn gales and is dead and buried. This was one of the final shots I ever took of the tree and it is also one of my favourites. The wee meandering stream passes by the left flank of the old tree which itself stands like a sentinel between the distant peaks. Although there is no direct sunlight the soft folded shadows of mounded snow formed over grass tussocks still subtlely apply texture to the expansive sheets of virgin snow and weak colour becomes more apparent than is normal in this monochromatic world of winter wonder.